An extremely satisfying 2-in-1 treatment that gives radiance to your skin, perfect for those with a dull complexion: use as a rinse-off scrub to remove impurities and dead cells from your face, or leave in place for a few minutes for a moisturizing treatment. 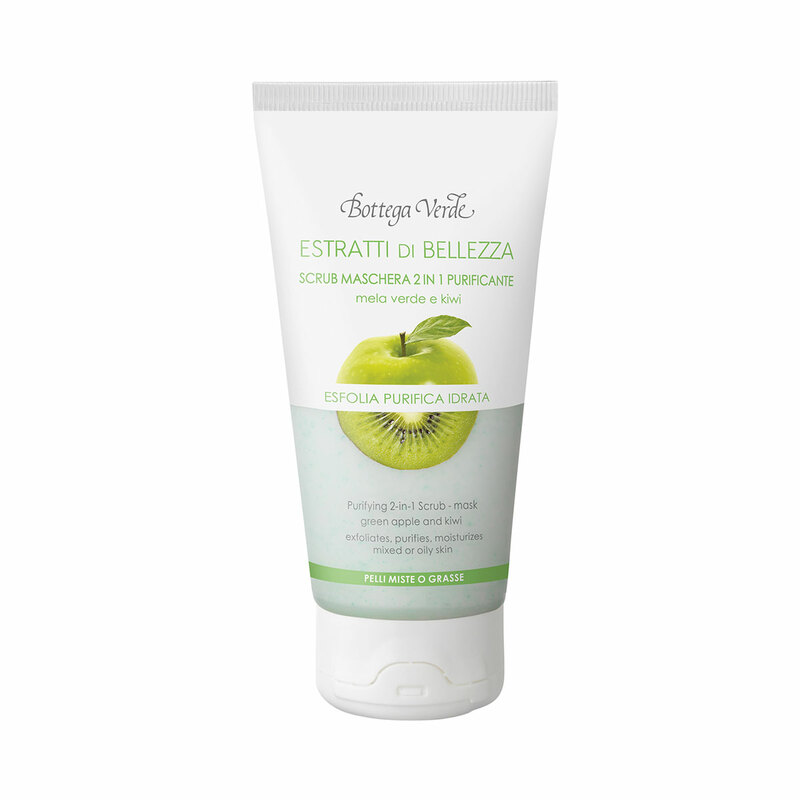 The special formula, as fresh as a fruit sorbet, contains concentrated Green Apple and Kiwi juice... offering a whirlwind of energy and freshness for the skin! A 2-in-1 treatment that gives radiance to mixed or oily skin: use as a rinse-off scrub or leave in place for a few minutes for a rebalancing and moisturizing treatment. WARNINGS: avoid the area around the eyes and lips. Direction for use:To use as a scrub, rub it into the face for one minute and rinse. To use it as a moisturizing mask, leave it in place for around five minutes before rinsing. Use twice a week to keep your skin looking wonderful! Suggestions:For everyone who wants a helping hand in making their facial skin brighter. Characteristic:A green cream enriched with smoothing microgranules.